The importance of optimizing your Google+ local business listing. If you are a business owner and you want to improve your search results within Google’s search, then your Google+ local business listing is the single most important profile that you need to complete with Google. Your Google+ local business listing, (AKA Places Page), directly influences how Google sees your business and how it relays that information to the general public. It is important that ALL of the information be complete and relevant, and each step to completing this profile is a step towards better search results. These steps include not only completing basic information such as hours and web address, but also include whether or not the business has more information to offer such as a relationship with Google Maps and Youtube. If a business has a relationship with these two Google products, then the information is displayed not only in their respective search engines, but then is additionally displayed in the Google search results. Today nearly 80% of all searching is done from mobile devices. Google has found that when a person is searching for a local business they use Google Maps more than any other search tool. When a user searches on Google Maps for a local vendor the search takes into account their current location, and delivers results pulled from your Google+ local business listing . Your not the only one confused. Google has quickly been making changes to keep up with the advent of social media and changes insearch trends. It is Googl’e job to display clear and relevant information. Many of these new products that Google has launched are geared towards these changes in seach behaviors. Keeping up with these changes is time consuming and can be difficult even for the experts. Originally Google started Google Places in 2004. It was a way for Google to index local businesses in an organized fashion. Often information was pulled from the yellow pages and business owners were expected to “Claim” their Place page, and then complete and correct the information. The Places for business program quickly became a huge success as the business network grew rapidly. Then, in May of 2011, Google Launched Google+ in response to Facebook. It has been a bumpy road for Google+ as it tried to catch up to the Facebook phenom, but Google came out swinging. They combined the success of the “Places for Business” with the power of Google+ and created the Google+ local business listing that we have today. It is extremely important for a serious business owner to complete this profile in its entirety. If you just want it fixed and set up right, great! We can take care of that for you. Let us take care of verifying and optimizing your Google+ Business Page for just $150. Once verified, we will ensure that all business information is current and accurate, upload images and videos, and provide you with the information so that you are able to respond to user reviews and post your own specials/notices/images in the future. Create new listings if needed. Provide coaching session on how best to use your shiny new G+ Business Page! 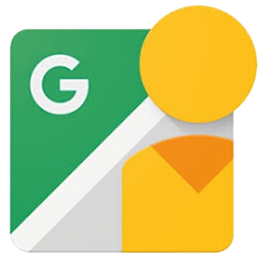 Get your business on the Map with a Google Maps Street View for Business. Interact directly with Google Maps and add a Google Maps Street View of your business. 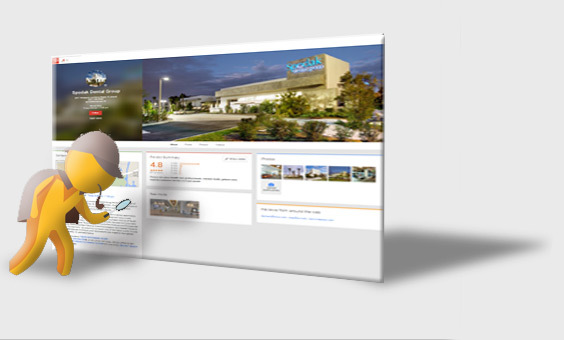 Professional Google Street View Virtual Tour of your business. Client is supplied with a Unique URL directly to the SEE INSIDE tour so tour can be shared via email or on social networks such as FACEBOOK or TWITTER. Use the power of Video to grow your audience online. Engage your customers and improve your search results by adding a video. Add a video to your Business Profile on Google through YouTube. Improve your search results and draw new customers with a short and informative professional video explaining your products, services, or business vision. Let our full video production company BLUERAVENstudios produce a professional business video within your budget. To see sample business videos visit our YouTube channel > BLUERAVENstudios on YouTube.